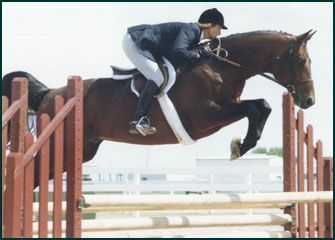 Thekla is an approved Trakehner mare with the ATA by the renowned Onassis. 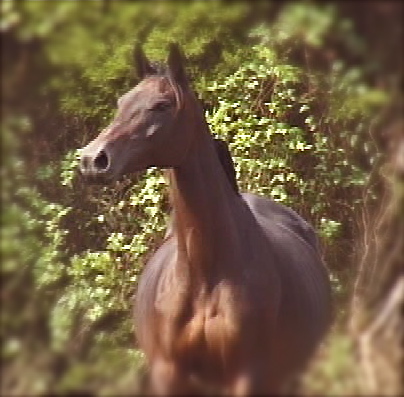 She had a performance career of her own from polo to the hunt field to the dressage ring! She could and would "jump the moon" for you. 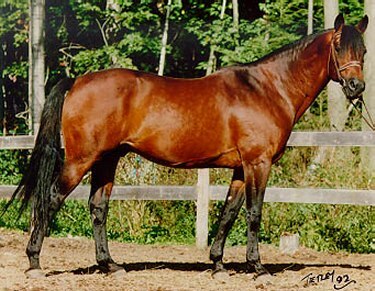 A brilliant mare fancy on the flat and a ground covering eat up the dirt athletic command of going forward. 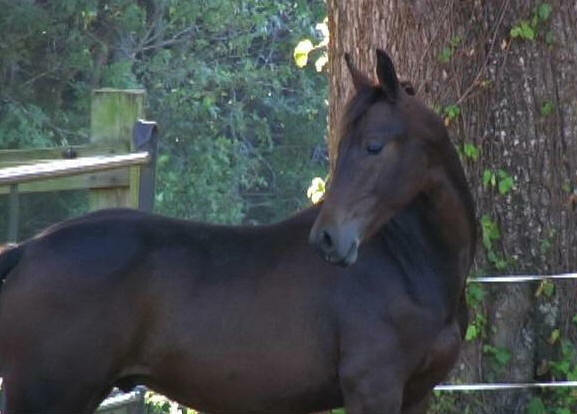 A stunning absolutely proven producer of versatile performance offspring. 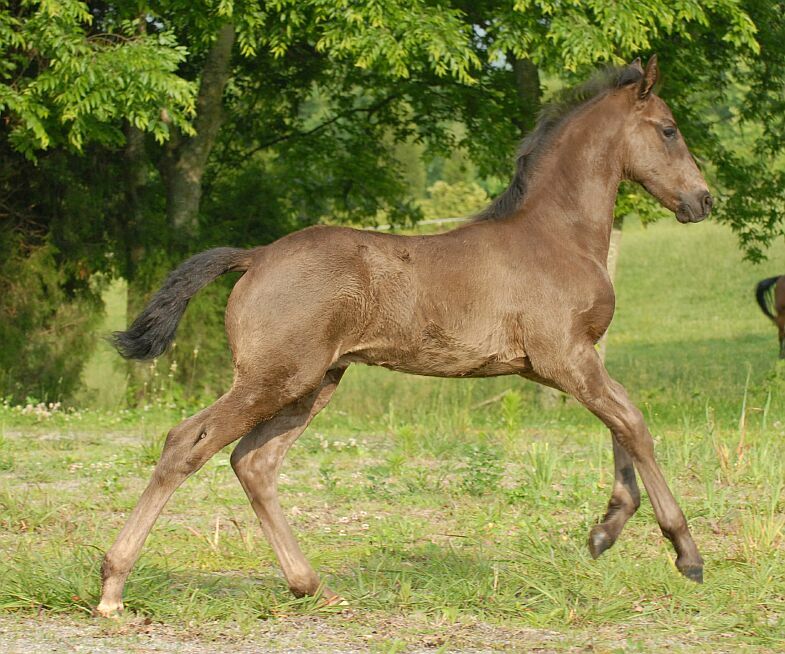 She has big beautiful consistent top quality foals each year. She and Nico are a top gun combination. 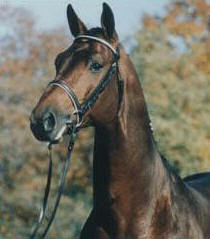 In HorsePlay magazine, Hilda Gurney commented, "I really love the Trakehner stallion Onassis. He is just the right size and type. 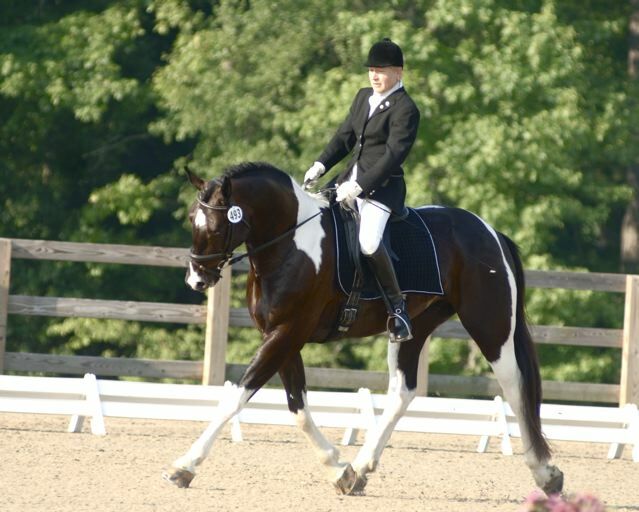 He is elegant, elastic, docile, correctly made, and a wonderful mover." 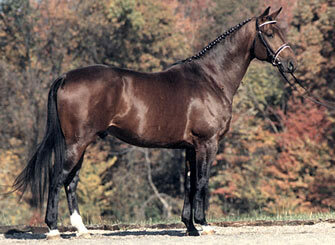 Onassis 16.3 Champion stallion with numerous wins at breed shows such as Devon, VADA/NOVA, SWDC & CTSHF. 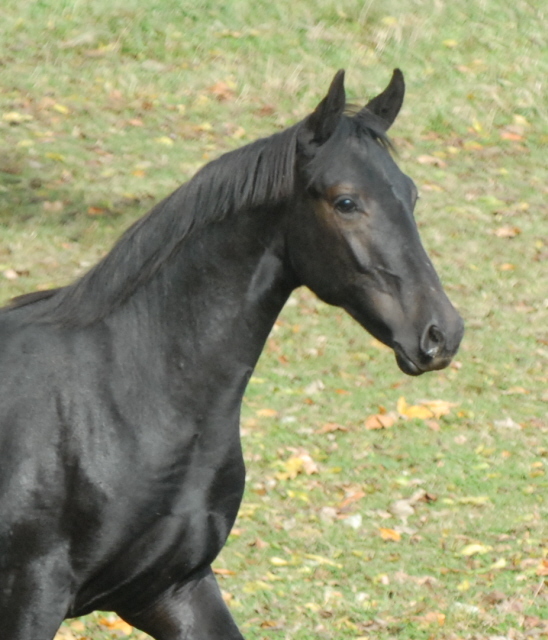 Debbie Rodriguez "S" says, "Onassis' foals are well-balanced and attractive - a nice sporthorse type that are suitable for any discipline."